live which is an essential ingredient to successful outcome. It is essential you understand that a vigorous seedling has a better immune system to fight both pest and diseases while a weak one is very susceptible to them. You may be wondering; how do you provide your seedlings with fertilizer immediately after germination or transplanting? You are about to learn the method of doing so; the technique is called Basal Fertilizer Application BFA. This technique supplies your seedlings directly and immediately with nutrients particularly that which are essential for root development and folia development. In few days after germination, your seedlings would grow so fast and sturdy that you may be wondering if you have done more than applying this technique. Adoption and application of this technique however requires maximum care without which you may be digging your seedling’s grave yard. Please come along with me as I show you the essentialities to making this technique a success. What is and Why basal fertilizer application technique? 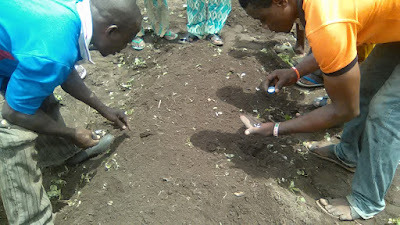 Basal fertilizer application technique is a method of applying small quantity of fertilizer in a hole meant for either seed or seedling during planting/transplanting exercise. Your crops require essential nutrients to grow vigorously and provide wonderful yield. Many at times, the soil is often deficient of sufficient amount of these nutrients. This is the reason why we apply fertilizer in the first place; to make up for what is/are lacking in the soil. It is not enough that fertilizer is however made available, the method used; the quantity and the timing are all pointers to positive result. The stages of growth where crops make use of nutrients the most are seedling and vegetative stages. During this phase, it is essential you provide over 80% of all the fertilizer you need to apply and the timing of each application is very paramount. You start by digging around 6cm deep hole which is meant for either your seeds or seedlings, measure 6 to 10g of inorganic fertilizer (0:15:15 or 10:20:20 or 15:15:15) and apply this to the hole. 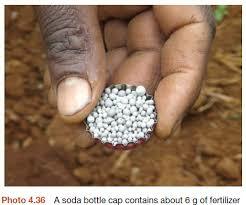 A simple way of measuring 6 to 10g of fertilizer is by using a full but leveled bottle water or soda cap. After applying the fertilizer, cover the hole completely with soil; gently put your seed on the soil directly on the covered fertilizer and gently cover your seed with moist soil. As for seedling, place it directly on top of the soil used in covering the fertilizer and hold the seedling firmly by gathering soil from the surrounding portion. 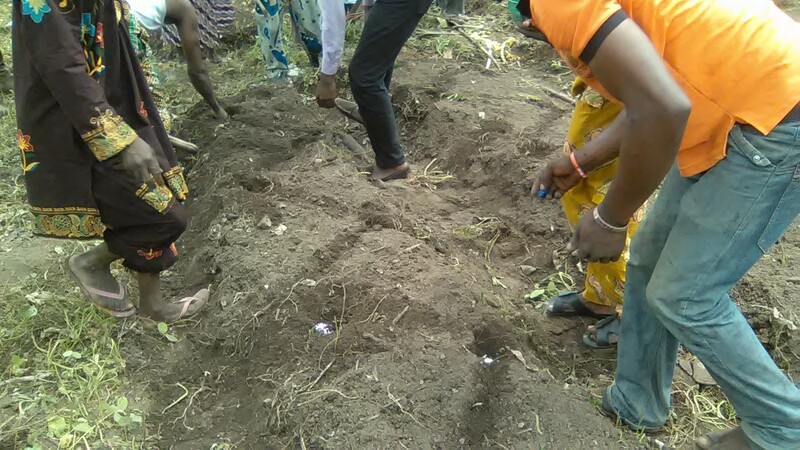 It is essential you wet the soil afterward if the soil isn’t moist enough and continue to do so daily especially during dry season until the seed germinates or the seedling passes transplanting shock period. This is essential to cushion the burning effect on the seed or seedling by the heat that may be emanating from the fertilizer. 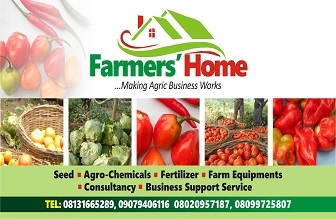 The type of fertilizer you need to use should be the one with appreciable quantity of Phosphorus. The reason being that Phosphorus is essential for good root growth/development and at this stage of growth; there is nothing you need than this. A good root establishment is directly proportional to the amount of nutrients and soil water within the reach of the crop. Obviously, every good thing comes with ‘but’ and BFA is no exception. Nevertheless, it numerous benefits have outshine its downside. Prompt nutrient availability: BFA makes the nutrients required by the seedlings immediately available upon developing the earliest root network therefore giving them rapid development and good start. Efficient use of fertilizer: Phosphate is an immobile component in the soil; therefore it is essential that plant roots grow in the direction of phosphate in order to maximize its benefit. Using BFA ensures that the plant roots have direct access to phosphate because the fertilizer is placed directly under the root path in the first place. In addition, the amount of fertilizer i.e. 6 to 10g used per hole is effectively utilized by the plant without any form of waste. Enhances target application: To effectively cushion the burning effect of fertilizer and reduce leaching, it is important that application of fertilizer is done in stages - targeted application i.e. not once. What this means is that, if a plant stand would require 30g of fertilizer in its life time; applying this at once may kill the plant and also has its greater portion leached away. In other to aid the plant to effectively use this 30g, you would need to divide into 3 to 4 portions and apply in phases. This is what is called targeted application. Ideally, the spacing of one application to the other shouldn’t be less than two weeks in order to allow for effective use of fertilizer. For crops with short life cycle like cucumber, BFA ensures that there is adequate space of time to apply a minimum of three different applications on or before fruiting period. Burning effect: It is unfortunate that if this technique isn’t done properly, it may end up killing your seed or seedling. The seed or seedling shouldn’t be too close to the applied fertilizer in the hole otherwise the heat generated from the fertilizer can cause burning effect. To prevent this, it is essential you soak the soil with water immediately after using this technique. Labour intensive: It is more labour intensive to combing both application of fertilizer and planting/transplanting in a single task but in actual sense, it is not. This can be managed with effective planning ahead of time. 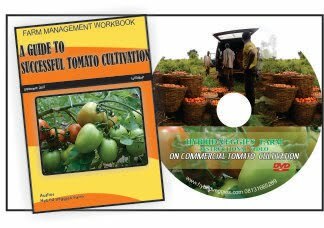 Watch instructional video on commercial tomato cultivation in an open field: Click to watch! In conclusion, I hope you find this article interesting. I would suggest you try it first on a small portion of your farm before adopting it on your entire field. This is to ensure perfection and minimize mistake during your learning period. Moreover, if you have a large field and you intend your worker use this method; it is essential you or the manager adequately supervises them so as to enforce adherence otherwise nonchalant farm hands would misused the technique and cause loses. It is also essential you watch the short instructional video on YouTube over and over again. You may reach out to me should you need additional guidance. Cheers!